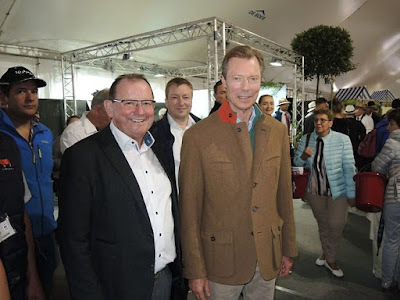 On the 1st of July, Grand Duke Henri was in Ettelbrück to attend the "Foire Agricole," where members of Luxembourg's agricultural community came together. A range of programs were available for attendees who braved the rainy weather to see the livestock, learn more about new equipment, and watch the shows. As it turns out, the rain was also a welcome attraction, as it ended a lengthy dry streak for Luxembourg's famers. Some more photos at Wort.